A huge thank you to the members who showed up last night, despite the fact it was Valentines Day! We had a good time chatting about all sorts of book related things. 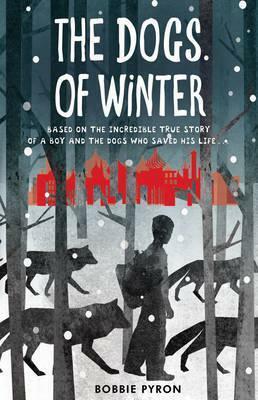 Our book this month was Dogs of Winter by Bobbie Pyron. We gave it 4 out of 5 stars. Overall we loved it! It was so different from many of the books most of us had read before. Each of us connected with it it a different way. The mums in the group found Mishka's story heart wrenching. The animal lovers found the pack fascinating. We all loved that it was a fictional story based on true events. We found ourselves thinking about what we would have done in a similar situation, or how our kids would have coped (not very well we have so say, they can barely get dressed without help!). That also means that Our March book is Pantomime by Laura Lam. I LOVE this book!!!!!!!!!!!!!!!!!!!!!!!! I can't wait for all of you to read it, and to finally be able to talk to people about what happens in it!! :D The next meet is on 14th March at 7pm. If you would like to know more about the Waterstones Bluewater Young Adult Reading Group then either leave a comment below, tweet us @yabluewater or drop me an email yabluewater@gmail.com and I will get back to you ASAP.